In order to understand how this victory is one for which I can claim some credit, I will defer to my prior detailed post on the district court’s decision when it was first handed down. I was no longer Defendants’ counsel of record on the case at the time the decision was handed down, but it was the Motion for Partial Summary Judgment that I prepared and filed on behalf of the Defendants in that case that the district court ultimately ruled on in deciding that “Rat Pack” was generic – a decision that the Ninth Circuit has now affirmed. Moreover, I was not involved in any briefings relative to TRP’s appeal, so that is why I write that I won at the Ninth Circuit without doing a thing – because indeed I did not. In fact, the Ninth Circuit ruled against TRP despite having no substantive opposing briefs filed by the Defendants. Original Defendant Barrie Cunningham did send a one page letter to the Ninth Circuit asking for the lower court’s decision to be upheld, but otherwise, no briefs were filed by the Defendants arguing in favor of upholding the lower court’s decision – which makes the decision of the Ninth Circuit to uphold the decision anyway all the more sweeter. This victory for Defendants also demonstrates that just because no one opposes you on appeal does not necessarily mean you are going to win your appeal. So short of an appeal by TRP of the Ninth Circuit’s decision to the U.S. Supreme Court or possibly a request for reconsideration with the Ninth Circuit, this decision marks the end of the great “Rat Pack Generic” saga that started as far back as 13 years ago. 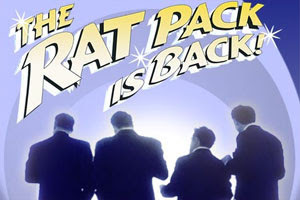 The glory days of TRP claiming to have exclusive rights to the term “THE RAT PACK” in connection with a “Rat Pack” tribute show – much like the “Rat Pack” itself – is forever gone.